Through the years, OSD has observed that parking issues on a given Project can make or break a good design. With this in mind, OSD partnered with ParkMatic, (Parking in Motion, Inc.) of New York, and began proposing parking solutions that were impossible a decade ago. 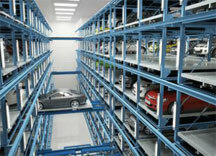 Starting with residential parking, we have stackers that can park 2 or more cars in the space reserved for one now. We have a 2-car elevator which can be placed in the driveway, which hides one car below the surface. These systems are affordable, and quick to install. Commercial parking is where we really excel. We have several systems that are fully automated, requiring no valet assistance. Imagine pulling your car into an ADA-sized parking elevator, or a carousel, shutting off your engine, locking your car, and then walking away knowing your vehicle is being safely handled by a computer. No carbon footprint, no wasted gas looking for a parking space. The future is here now! With several different styles of systems, and the flexibility that brings in, we are able to address the most complex of parking solutions. We continue our ongoing partnership with Parkmatic, LLC. More and more designs are parking driven. 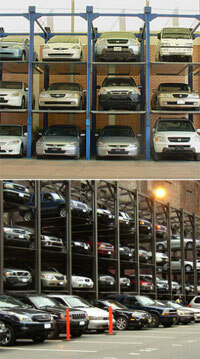 We can provide parking solutions for a fraction of what a conventional parking garage or area costs. We can also refit existing structures in most cases, to add capacity. If you have design issues with parking, we cure parking problems. For more information, Please call us at 650-766-1480, or go to the main Parkmatic site, www.Parkmatic.com.